Have you ever sat on a porch, drinking from a warm cup, and just watched the world before you covered in snow. It's a serene, peaceful experience that everyone should try at least once, but there is something remarkably close to that which we can all do daily. 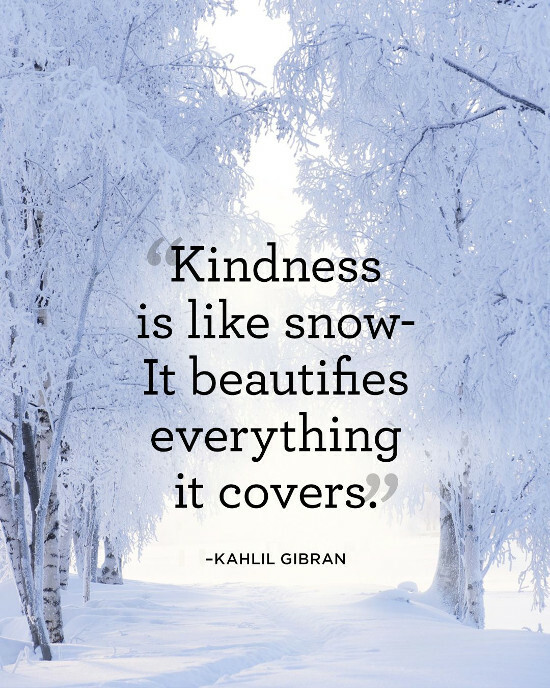 Kindness lays like snow, gently covering all it touches and filling it with a peaceful beauty. Every one of us can spread this serenity everywhere we go. Cover your world with kindness and make it a better place.